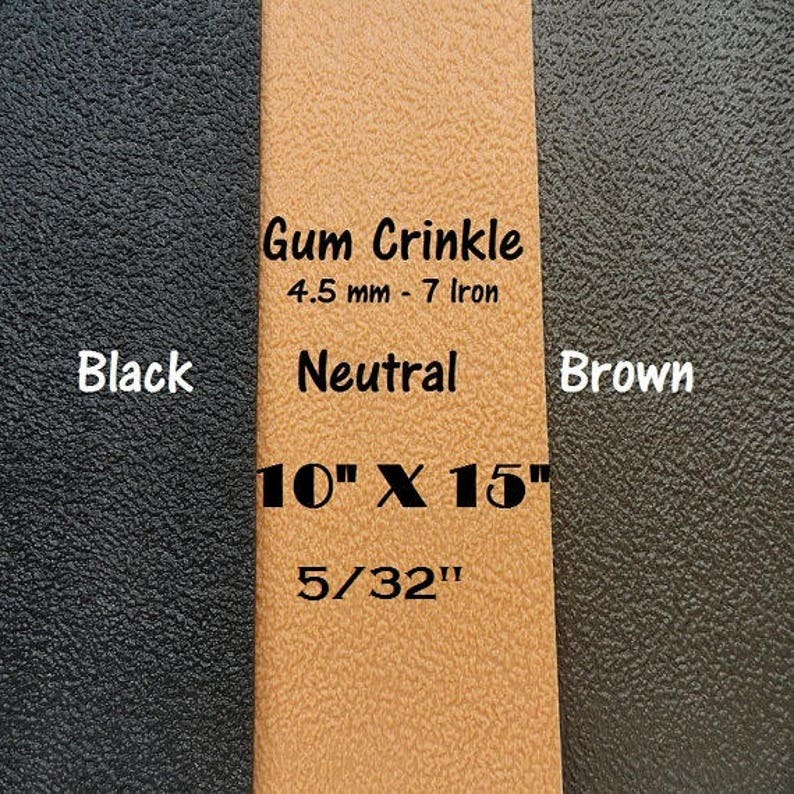 One Sheet - 10" X 15"
GLUE: Use a strong adhesive to add this rubber to the bottom of your shoes, photo 5 is an example of an excellent glue to use and you can purchase it at any hardware, craft store or Amazon. Do not use this glue with leather. Everything ships from a smoke free home. Wearing the Crocs again. They were really worn in the center. The piece I bought is big enough to resole another pair of Crocs ( the way I did it here ) or resole these again when/if the need arises. Thickness of material is perfect. Now I can walk around in Cockspur Hawthorn patches again without fear of a thorn going up through the bottom as has happened. I used Weldwood Contact Cement. Liberal coatings in layers scattered over three hours on both surfaces then attached to each other. Very helpful and great delivery. Thank you for the advice! I accept payment using PayPal, Etsy's Direct Check Out (all credit cards) & Etsy Gift Cards. You may also make arrangements to pay by cash, check (item will ship as soon as check clears the bank). I SHIP FAST AND DAILY so if you need to change or cancel your order please contact me ASAP to avoid having to ship the product back to me for a refund. If you are not 100% satisfied with your purchase please contact me. I am happy to resolve any issues with a refund or exchange at your request. If it is my error or damaged on arrival I will issue a full refund. If you have a touch of "buyers remorse" and you just want your money back I will issue a refund in full for the item minus the shipping. I use Calculated Shipping. You will be able to see your shipping cost before finalizing your purchase by clicking on the shipping tab and entering your zip code. If I can save you money on shipping I will refund any overages above $1. I do combine shipping charges on multiple items so don't hesitate to make that request. I do not charge for packing and materials. I ship World Wide, Daily with the exception of Sunday and Holidays. From the United States, USPS with tracking. PLEASE CONFIRM YOUR SHIPPING ADDRESS! I ship to the address you provide at check out. If you catch an error contact me immediately and I am happy to correct it for you. PLEASE LINK ETSY TO YOUR MAIN EMAIL! I ship quickly and might need to ask you a question to try to save you money on shipping. International shipping is approximately 10-14 days. India can be up to 30 days. Buyers are responsible for any customs and import taxes that may apply. I cannot be responsible for delays due to customs. Priority Mail International packages sent to any country may now be tracked by sellers and buyers. - All Priority Mail International services containing merchandise are now insured by USPS against loss, damage, or missing contents up to $200 at no additional charge. All packages ship from Gooding, Idaho. We are a small rural town and our post office is closed on Saturday, Sunday and holidays. They do not offer overnight shipping from our location. The largest city is about an hour away. Your package is carefully wrapped, bagged or boxed with a printed label and tracking for secure shipping. Details for each item should be in the listing including size and content. Please don't hesitate to ask a question if you don't see what you are looking for .